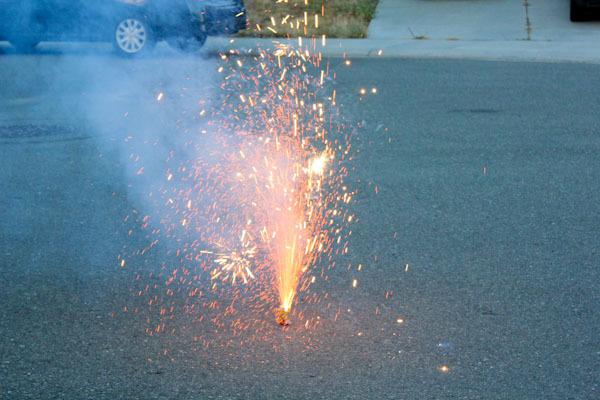 I hope everyone that celebrated it had a great 4th of July and no burns or hangovers today. It’s nice to get some rest time today after planning, shopping at Costco, and cleaning for yesterday’s party. 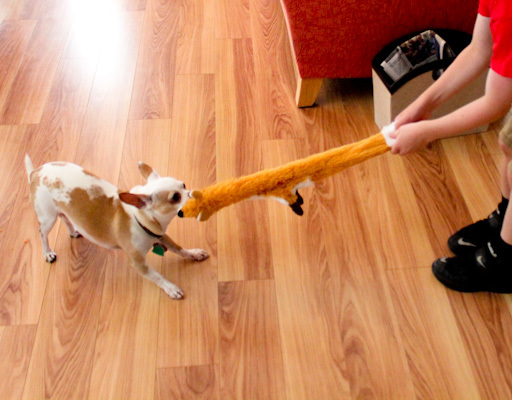 We hosted a family party at our house where my nephew was the only kid there, but he had a great time playing tug a war with Miko using the new toy Miko took from Dasher. 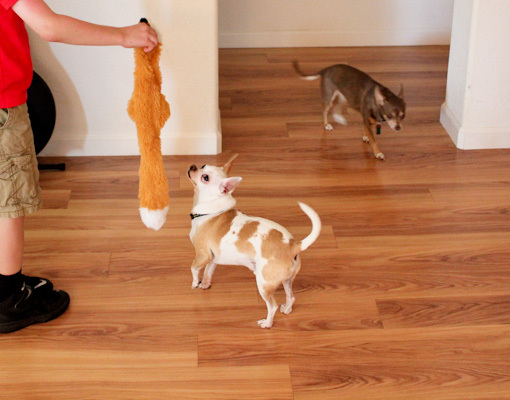 And Miko loved all the playtime and attention. But she was when it came to competing for lap time! 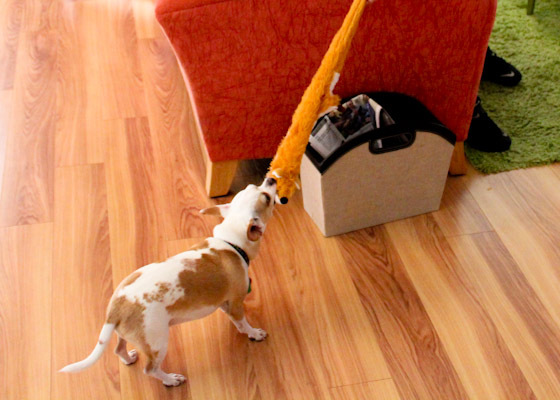 Miko was determined to keep his newly stolen toy with him to protect it. Miko was a great sport playing with my nephew, very patient and sweet while being carried around and kissed and will get an extra walk and playtime today. The poor guy crashed hard last night in bed with us after such a busy day. I did too! We had an all vegan 4th of July party which was awesome of my family to do for us! 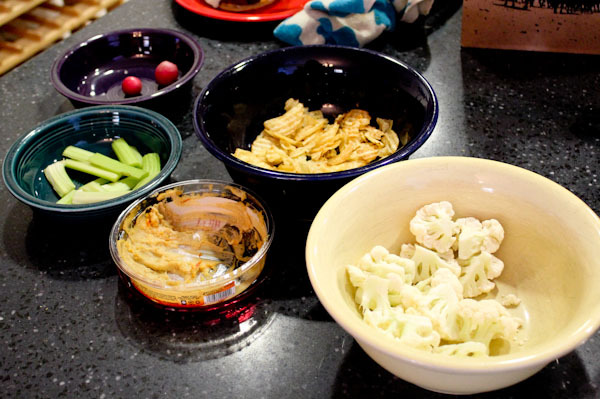 We kept it simple for appetizers – potato chips, hummus, and veggies. Navigating the insane crowds at Costco on Friday while trying to find vegan burgers was not easy, I found two different packages of cheap vegetarian frozen burgers with insanely long and scary ingredient lists scattered between tons of horrible looking non-vegan ones. 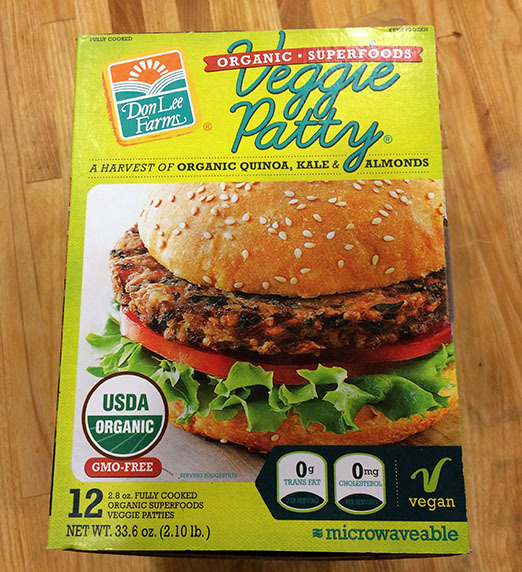 Then I came across these Don Lee Farms Organic Vegan Veggie Patties in the frozen veggie section with a simple, short list or organic ingredients and it was like seeing a heavenly bright light shine through the freezer door. For the quality of the ingredients and size of the patties, they weren’t expensive either – a package of 12 was $13.49 and they only have 150 calories each. And very fast and easy to cook on the grill with corn in the husk. 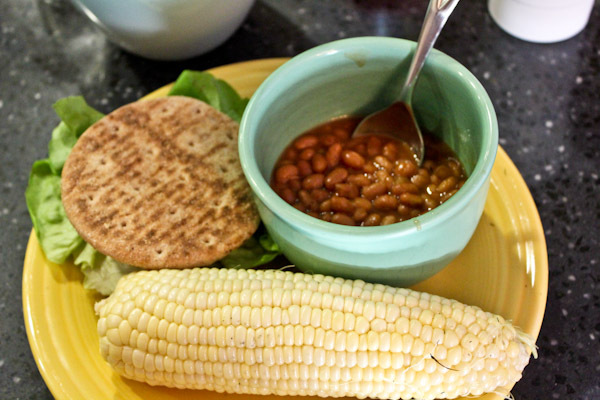 Dinner was simple and traditional, vegan burgers, grilled corn, and beans. The veggie patties were very good with a hearty veggie texture, gooey and moist inside, and lots of visible veggies, and great with Dijon mustard and simple ketchup. 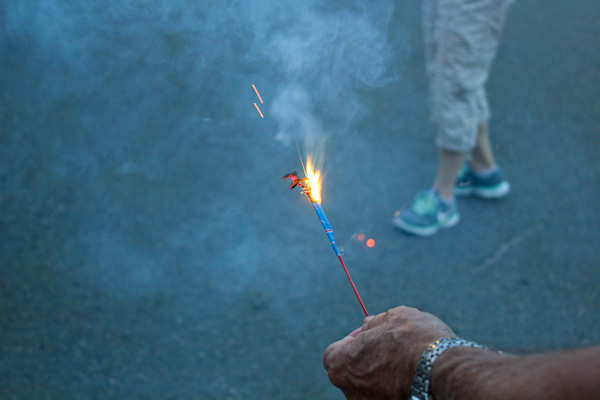 After watermelon for dessert, we headed into the court to set off little fireworks and sparklers for the party finally. And just had a great time hanging out with family, playing games, and chatting. Hubby was awesome playing Xbox games with my nephew and we played dominoes inside enjoying the air conditioning since it was 100 degrees out. We have another family party tonight since my dad is in town, whew! 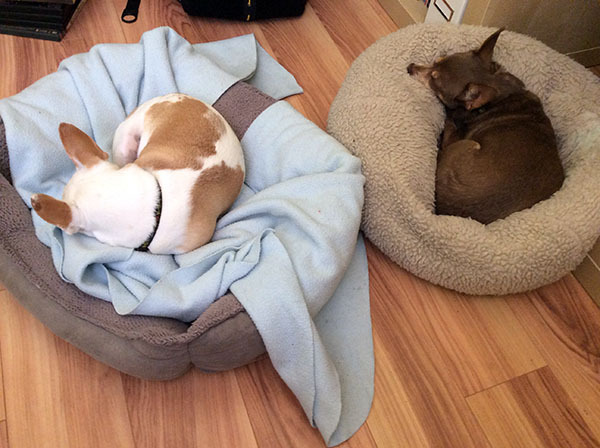 I think Miko and Leela may need a rest after last night’s party! This is an interesting article on saving up willpower to conquer junk food cravings. Informative and brief look at cholesterol. More on the Pegan evolution of the Paleo Diet. 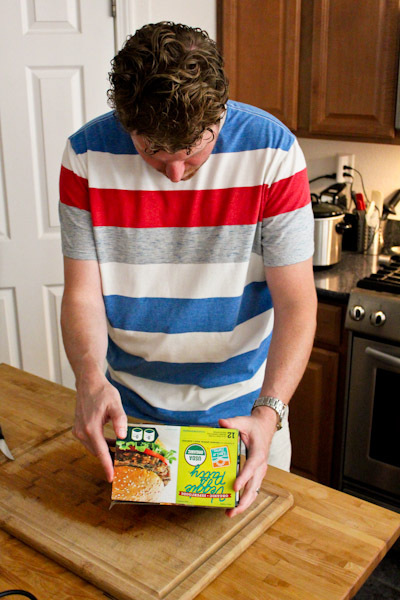 And an interesting look at how Silicon Valley is influencing the food industry. Sounds like a great weekend! 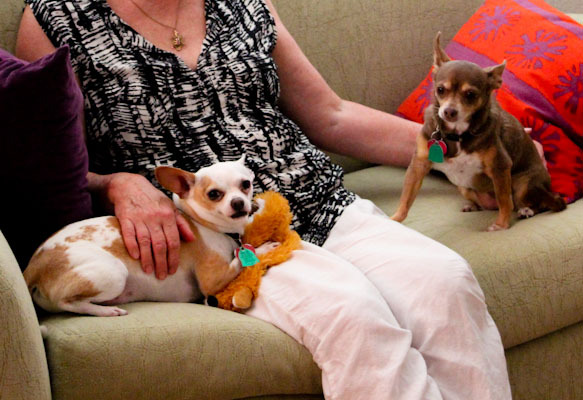 All the foods sounds great and the furkids are adorable as always! Thanks, the burgers were really good, I would get them again for a family event easily. A 100% VEGAN 4th of July! Now that is a FEAT! Hot damn, I am impressed!!! I would be eating LOADS of hummus and guac, that’s for sure! ha ha! Looks like you had a wonderful 4th! Haha on fake meat and some of it is freaky. These patties where more like veggie quinoa patties which is what I liked about them, they weren’t trying to be fake meat and loaded with visible organic veggies. 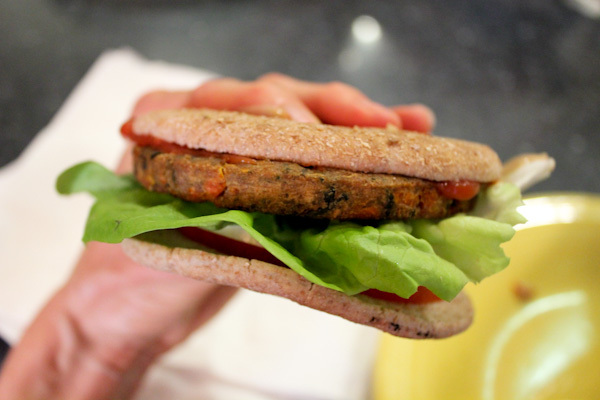 Great veggie burger find! I never heard of that brand before, but then again, I’ve only been to Costco about three times in my life. Great to know that they’re stocking more vegan options these days, though!